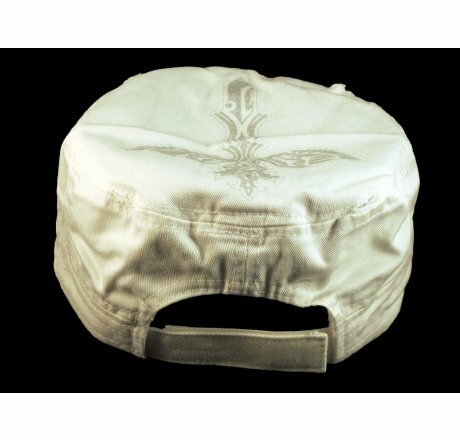 ★ This is a High Quality White Cadet Castro Cap! 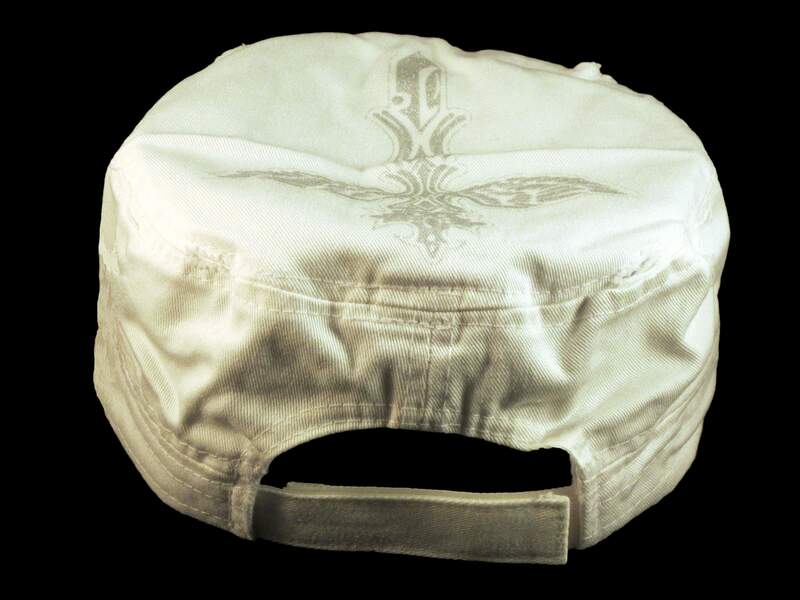 It's in the Vintage Distressed Visor Style, from Pit Bull. 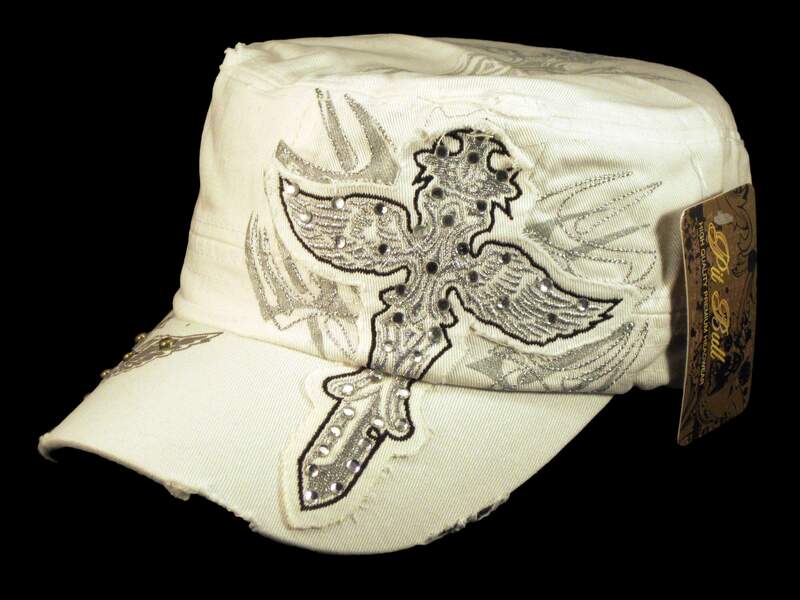 It has a Dagger, Print, Jewels, Studs and Grommets! ★ 100% Brand New! Never Tried On! 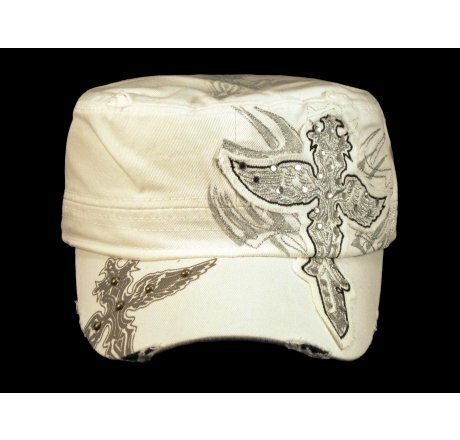 ★ This is a High Quality White Cadet Castro Cap! 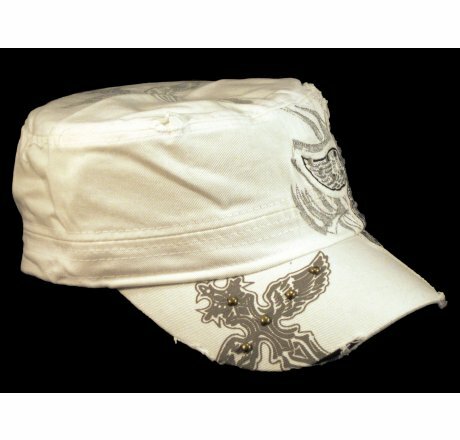 It's in the Vintage Distressed Visor Style, from Pit Bull. 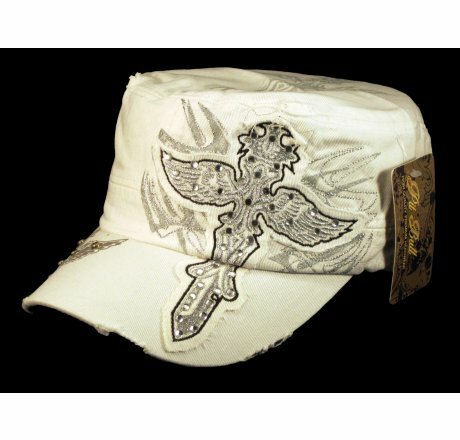 It has a Dagger, Print, Jewels, Studs and Grommets! 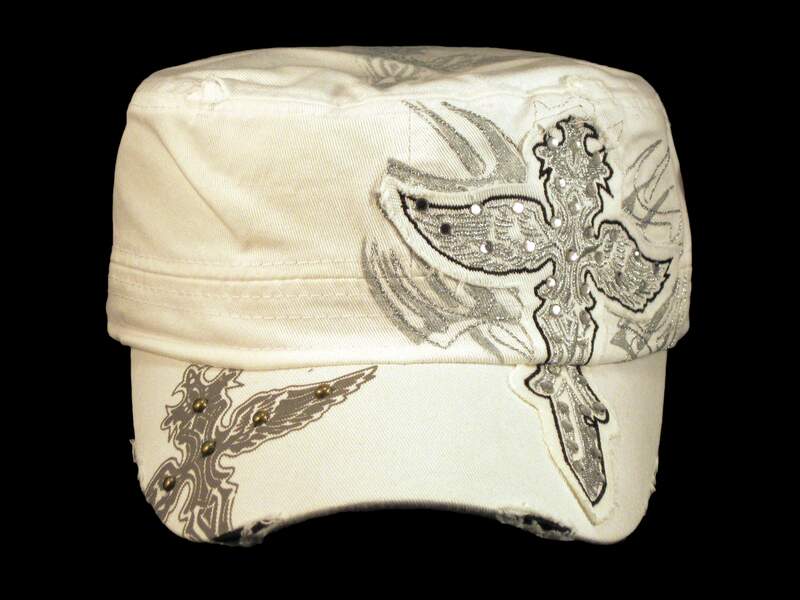 ★ Color: White with Silver Dagger and Silver Stitching! 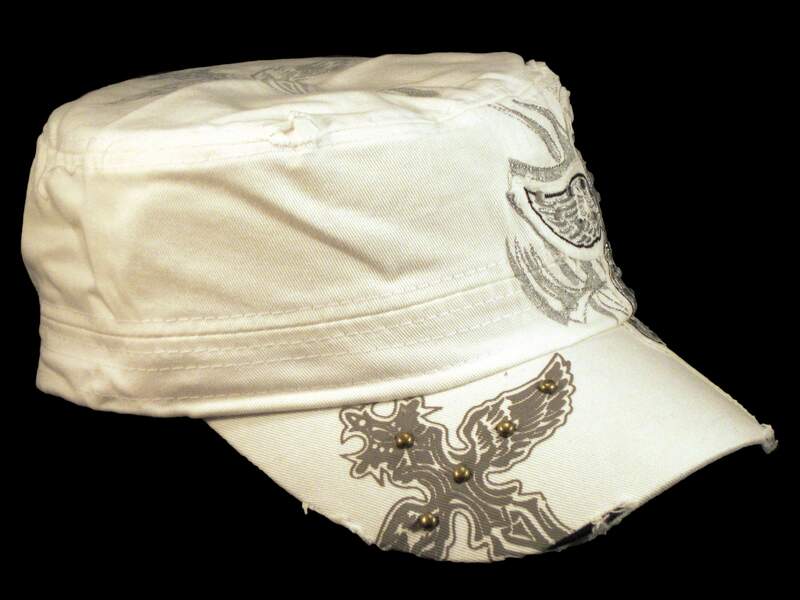 ★ Adjustable/Fitted: Adjustable Velcro Strap. One Size Fits Most!